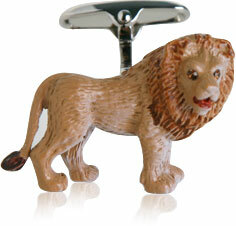 Lions are prideful creatures known for their strength, speed and power. 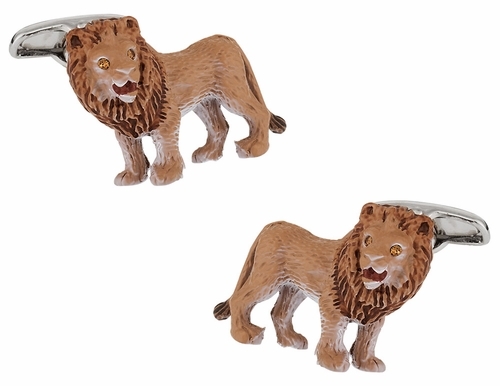 You'll be filled with pride when you put these incredibly detailed cufflinks on your wrists. They're real quality pieces, and they're designed to hold up over time as well. 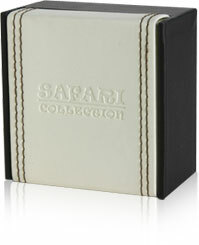 You can wear them out to dinner parties, to work functions or just anytime that you want to look nice. Slip the silver clips into place and you've got a transformed look. 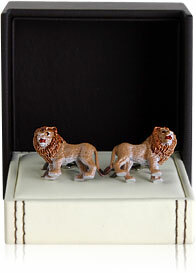 Each lion comes with crystal eyes infused with genuine Swarovski Elements for a full color appeal. Make them into a favorite gift this holiday season, or keep them all for yourself. 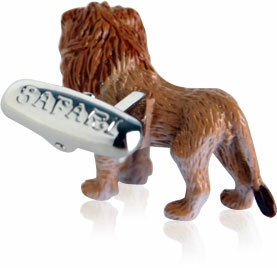 I like the sculpted lion and it's courageous look. Anyone who wears these will be making a bold statement about his style and personality.